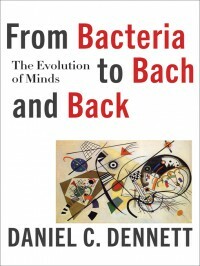 From Bacteria to Bach and Back: The Evolution of Minds - Tolle Lege!. There is intelligent design. It's just not what the creationist think it is. Nature gives us competencies without comprehension. Comprehension means full understanding. Dennett gives the example of how the computer can do arithmetic without understanding as explained by Turing. His holy trinity within this book are Turing, Hume and Darwin. Each thinker provides an inversion to our 'manifest' knowledge by allowing an opening to the window to scientific knowledge. He'll explain in detail how each thinker allowed us to see the world differently but in an 'inverted way'. They all gave us an 'ontology' (his word) of the world for which we live in. Ontologies can be thought of as the furniture that makes up the world, the pieces of the things that we use to explain the world under consideration, the structure, the foundation, the ground, or the first principles. Dennett is never afraid to talk down to his reader. Pernicious teleology is how we think naturally as humans. We always impute a reason for the way things are. We accidentally assume a 'why' for the way things are, because that's how we think because we always assume meaning. "Teleology is never free" as he says in the book. We use science to redirect us back to the 'how' things are. There is no over all meaning for the way things became the way they are (at least I don't know the reason). Dennett is really big on emphasizing that 'free will' is an illusion in as much as that cause will always precede effect within the human realm (yes, there is an exception at the quantum level, but we don't control that, and it is not at our mercy), and if there was a great Judge in the sky or any where else, he would not be able to judge us knowing that we are the way we are because we were made that way and time and chance determined who we are. And as Dennett goes on to explain in this book, we still must be held accountable for our actions on earth, but, again, a great Judge in the sky can't hold us responsible for our actions because we don't happen in a vacuum we are a result of the world we are thrown into. Dennett doesn't say it but St. Augustine created the concept of free will as to be the analogous power that God had when he freely created the universe and that similarly resides in us in order that God can judge us. Yes, I know Aristotle uses the word 'free will' but he meant something different and closer to Dennett's compatibilitist definition. There's a template to the story that he's telling within this book that could be found in another book that I've read, "Master Algorithm". My mind kept referring back to that book as I was listening to this book and in the last chapter or so he tells you about that book in detail. I really loved that book but only rated it three stars because of two reasons 1) I didn't like its conclusions and 2) it was concise but overly complex in its presentation. I don't mind complexity in my books but I would not really recommend it to others because it could be very hard to follow. But, all the themes that were in that book are in this book. He called them tribes in the book "Master Algorithm". One of the tribes was Bayesian statistics. Our expectations based on prior experiences shape how we accept the present. That's what Bayesian statistics do for us. There is a really formal definition but it would involve probability functions, but at the heart that is what it is. Dennett relies on the heuristic to explain this. So I will too. 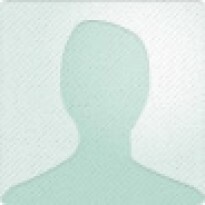 The "Master Algorithm" shows how we are currently taking 'the inverse of the program and using machine learning' to solve complex problems through the aid of the computer. Dennett talks about Google and its language translation program which has done that brilliantly. It's a bottom up approach instead of a top down approach. Our mind and evolution both seem to work from the bottom up also. Cool stuff. But, Dennett only saved this stuff for the last chapter. Dennett definitely has a mind set that I tended to disagree with in this book. His very long section on the meme and culture over looked the reality of epigenetics and just briefly noted it and that was only to tacitly ignore it. Epigenetics are real. Just read Science News or check up on the Belgium babies born at the very end of WW II (June 1944 to May 1945) under the needlessly cruel Nazi occupation and see the analysis which is explained by epigenetics. Dennett takes TOM (theory of mind) and mirror neurons more seriously than I think should be warranted. He's trying to explain that our consciousness comes about through by the shaping of our environment by our behaviors. It's one way of looking at the problem, but maybe not the best. Popper (logical positivist) and Skinner (behaviorism) are probably not the right way to frame the extremes (imo) as he seems to do within the text. There just seems to be a another story that could be told. I really love Dennett. I've read four of his other books, and three of them are in my favorites list. I was little bit disappointed in this book because most of it was review for me, and I don't really agree with his behaviorism point of view in the development of consciousness, and I didn't really agree with his development of language as he presented it. Also, one can argue there is no proper ontology to the world (see Wittgenstein for details, e.g. ), and embracing Hume (who is my favorite philosopher) leads to 'facon de parler' (Dennets phrase, means 'convenient fiction'), which doesn't bother me, but needs to be reckoned with in the context of the philosophy of science. I don't mind reading some one who I disagree with but I do mind not learning much more than what I've read in other books on the same topic.